From the Camelback Mountains to the gorgeous Arizona sunsets, our inspiration was brought to you by just that – the breathtaking array of oranges, blues and yellows that paint the skies of the Southwest at dusk. The historic El Chorro set a beautiful backdrop for our wedding inspiration shoot nestled in the exclusive Paradise Valley of Arizona. 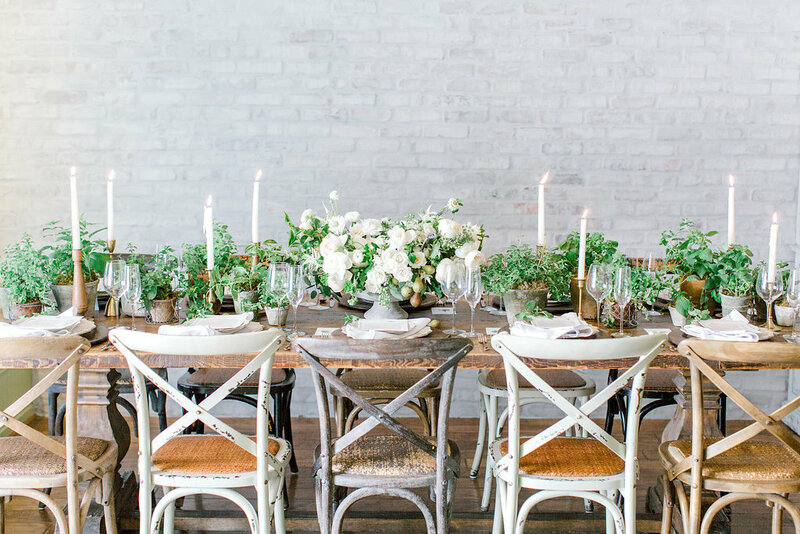 The inspired design direction was to stay true to the gorgeous nature surrounding the venue. 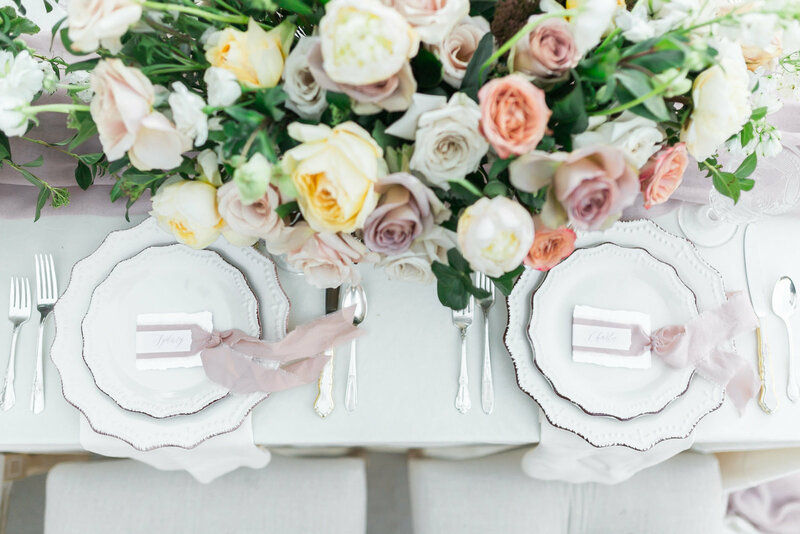 Together, with Wildflower AZ and Glamour and Woods, we created a tablescape that highlighted the color palette perfectly. Idieh Designs crafted a textured canvas table number to almost resemble tile along with leather place cards to give it that outdoor edge. 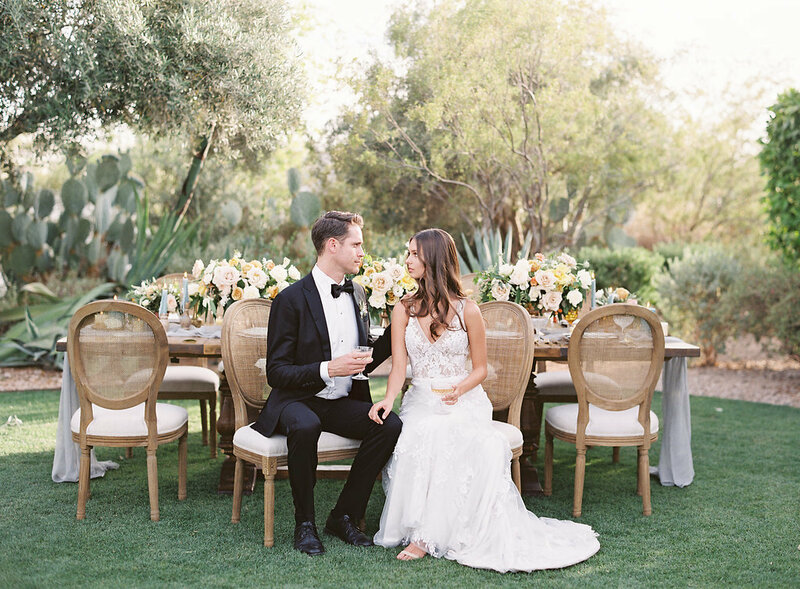 Wood candlesticks from The Confetti Studio & a soft, gauzy runner from La Tavola Linen created the perfect mixture of textures that was beautifully captured by Jacqui Cole in front of the cactus of the Sonoran Desert. Penny, the burro, made a friendly appearance during our wedding inspiration shoot. 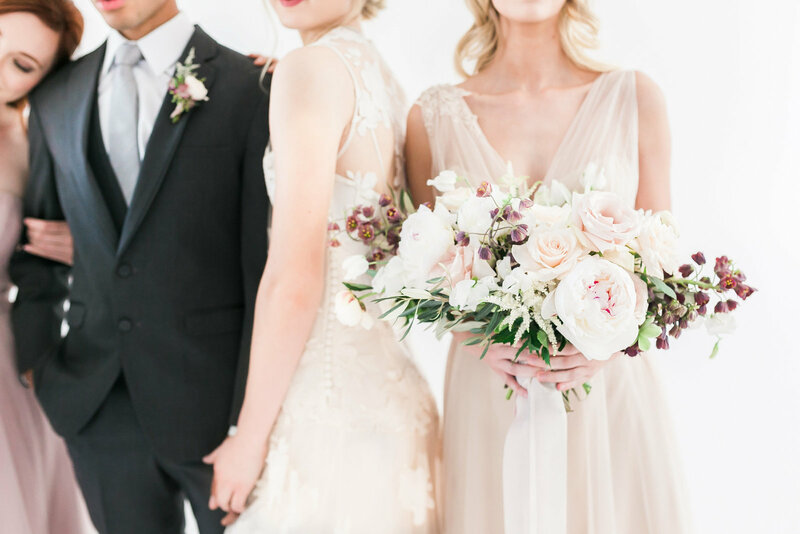 She was dressed in a flower crown in the same color scheme as the bride’s bouquet to perfectly accent the bridal party. A Signature Welcome curated a welcome bag that guests would be thrilled to receive – filled with desert essentials like sunscreen, a water bottle, and yummy local snacks all placed in a rose gold wire basket with a hand calligraphy “Welcome to Arizona” tag. Ruze Cake House added two cactus cookies to the welcome bag to pay homage to the sea of cactus you see when driving through the desert.